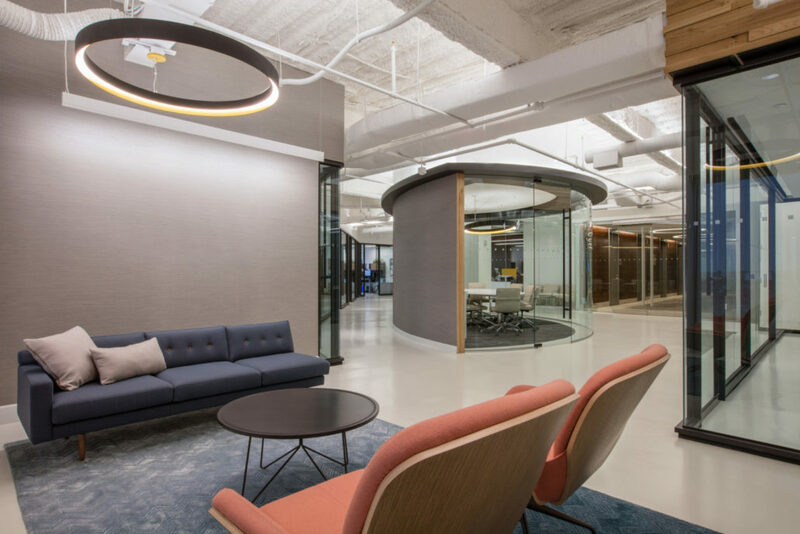 A Boston based non-profit lending authority and support of higher education selected VC to help them with their 13,000 SF Boston office design. 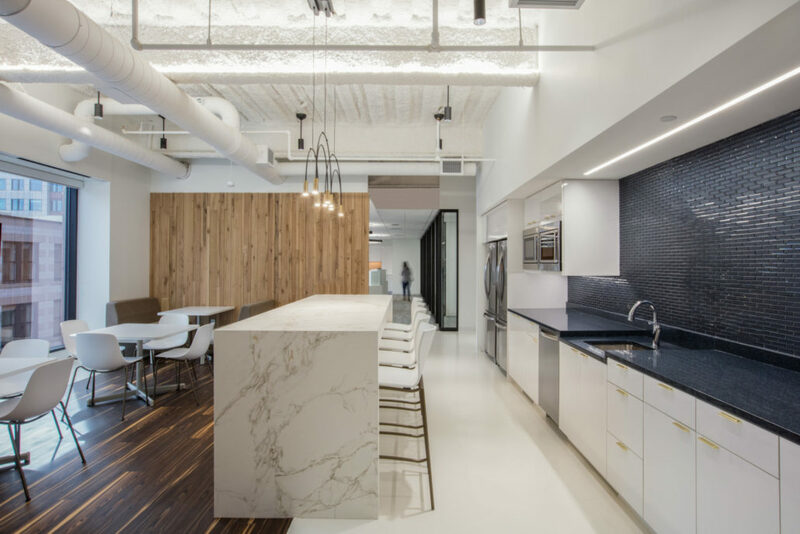 Emerging from a very traditional office they decided on a more transitional, airy environment for their new workspace. The layout was strategically designed to provide a divide in the center of the space with the entry being in the middle; this happened as a result of the space provided which was not ideal, but the new layout solved that problem. Common areas, conference rooms and the main cafe lend a hand by also being centrally focused, as to bring employees together throughout the day. Though a consistently designed space throughout, different neighborhoods were created within the space to reflect the unique needs of users on any given day. Workstations vary in each neighborhood to include benching, 120 degree and traditional panel stations to best support the work style of each department. 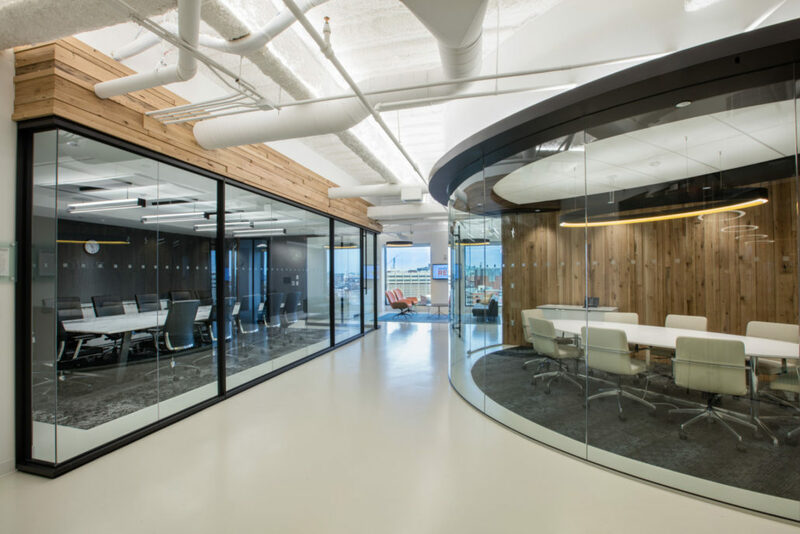 The seamlessly clean design is accentuated by access to natural daylight from all workstations and varying areas, amplifying the light and airy environment the space provides.